A few months ago, we decided to switch Speckles’ dog food to something higher in quality. Just like humans, what dogs eat greatly affects their physical health and well-being for either better or worse. That’s why I wanted to feed her food from Petcurean, a family-owned Canadian company that uses quality ingredients. But, as most dog owners know, changing dog food brands can be a huge deal. Some dogs have sensitive stomachs that can’t handle different formulas or combination of ingredients. Others are super picky and won’t eat anything except their usual. We were concerned about both issues when it came to Speckles. When Speckles was younger, we only feed her kibble with chicken in it. We tried food with other meat bases but she got sick and threw up. We have to be careful about the calories too. Speckles gains weight like crazy with even the tiniest change in ingredients or portion amount. 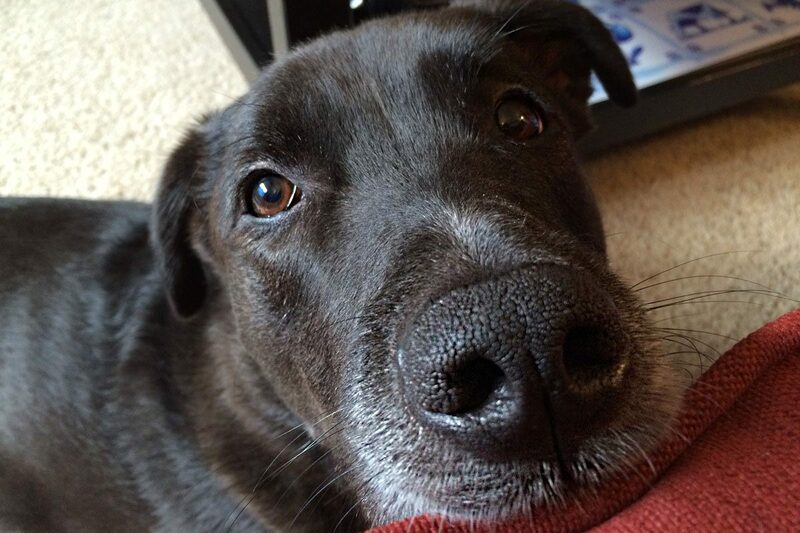 It has been challenging to find dog food brands that can keep her satisfied without adding add the pounds. Plus, she LOVES to eat and seems to have no internal gauge to limit her eating. Take a peek at how she reacts when she’s made to wait before eating. She’s also a food snob. If it smells even a teensy bit different (i.e. just opening a new bag of the same food), she’ll refuse it until we coax her to eat. 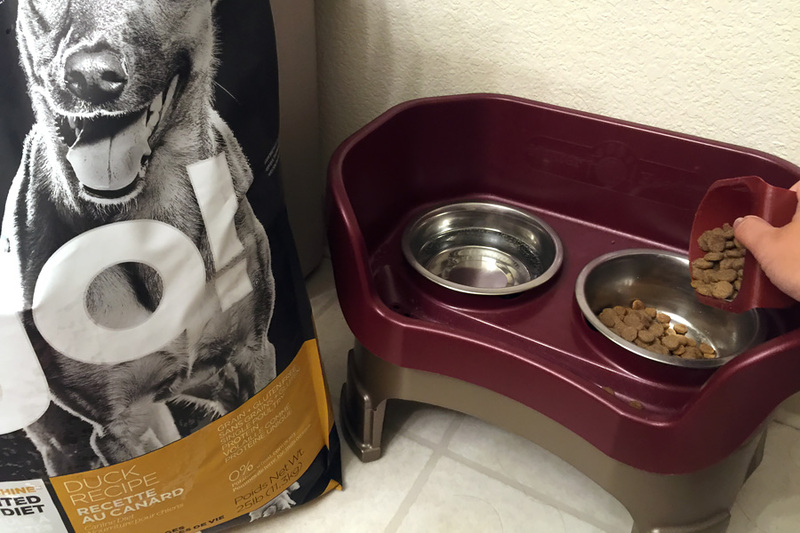 When it comes to introducing new dog food brands, we mix it with some from the old one over a period of several days. Instead of just eating it, though, Speckles will lick up a mouthful, spit it on the floor, then only pick out the pieces from the old one. Such a stinker! To our surprise, she got used to the Petcurean food (GO! SENSITIVITY + SHINE™ Limited Ingredient Duck Recipe) pretty quickly. I’m not sure if the food we gave her looked and smelled like her old food but she ate it with minimal resistance. Not only did she not get sick but she seems to like it. Plus, her coat is looking fuller and shinier since she started the Petcurean food. This recipe is designed for dogs with food sensitivities and dietary needs. With Speckles’ sensitive tummy and her tendency to gain weight like crazy, this is a perfect fit. If you’re looking to switch dog food brands, Petcurean has a great selection of pet food, both wet and dry, and treats (Speckles loves the SPIKE treats) for cats and dogs. Just this month, the company launched a new product called GATHER. This pet food is created from certified, organic, non-GMO, and sustainably produced ingredients. Petcurean is partnering with trusted farmers, growers, and fishers to supply premium quality ingredients used in GATHER. Wild Ocean: The single-source fish protein in Wild Ocean is MSC certified fresh line-caught cod, pulled from the cold, clean Alaska coast waters. Cod is blended with MSC certified krill, peas, lentils, chickpeas, organic flaxseed and other essential ingredients to provide a hearty, healthy meal for adult dogs. Free Acres: The chicken in the delicious Free Acres recipe is sustainably produced, certified organic and free-run. Petcurean has included other wholesome foods such as organic peas, lentils, krill, organic flaxseed, blueberries and cranberries to provide dogs and cats with extra nutrition and extraordinary flavors. Endless Valley: Endless Valley’s certified organic pea protein and other pure and natural ingredients are crafted into a vegan certified recipe especially for dogs. Endless Valley provides all of the essential amino acids and complementary ingredients that provide complete and balanced nutrition. The Certified Vegan Trademark guarantees that Endless Valley does not contain any animal ingredients or animal by-products, uses no animal ingredient or by-product in the manufacturing process, and has not been tested on animals. 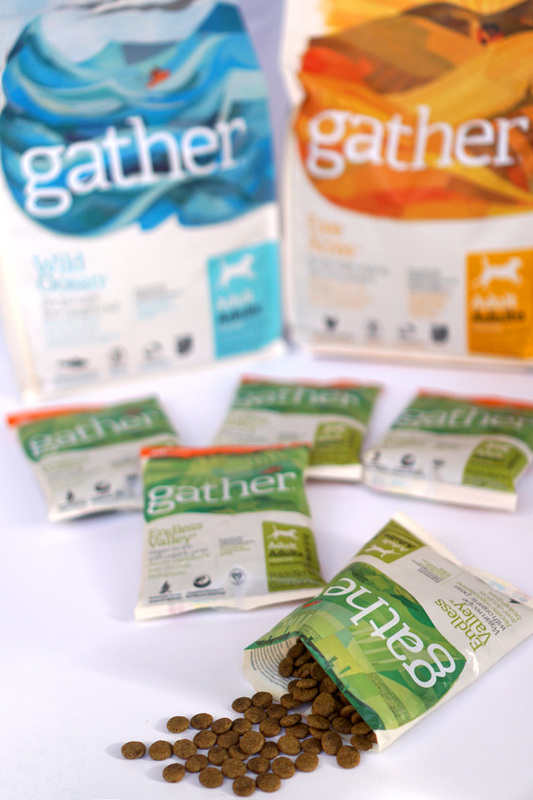 Health-conscious dog and cat owners will be happy to know that GATHER certified and organic dog food is sustainably produced. Even the packaging reflects Petcurean’s commitment to sustainability. The USDA certified bio-based packaging is one-third plant-based and the pet supply company has reduced its use of petroleum-based resources by 30 percent. You can find out more about GATHER here. We were sent a few samples but, as I mentioned above, it’s not so easy to switch Speckles back and forth with food too often. So, we’ll save these for later or donate them to a local shelter. Petcurean cat and dog food, including GATHER, is available at specialty pet stores across the U.S. and Canada. Use the store locator to see where you can buy it locally. I received product and have been compensated as part of my participation as a Petcurean Advocate. All opinions are my own.